It’s been a very long and hard week around here. All four of us have had some form or other of a very bizarre flu. Caden had it the worst in a 24 hour period, but Shepard’s thrown up in his bed four times in the middle of the night without waking anyone up. It’s all been so sporadic and hard to plan around. Caden was able to go to his first two swimming lessons on Tuesday and Thursday, but missed school and speech therapy on Monday, Wednesday, and Friday. I’m hoping we’re all finally past it, though, and can have a slightly more normal week ahead of us! 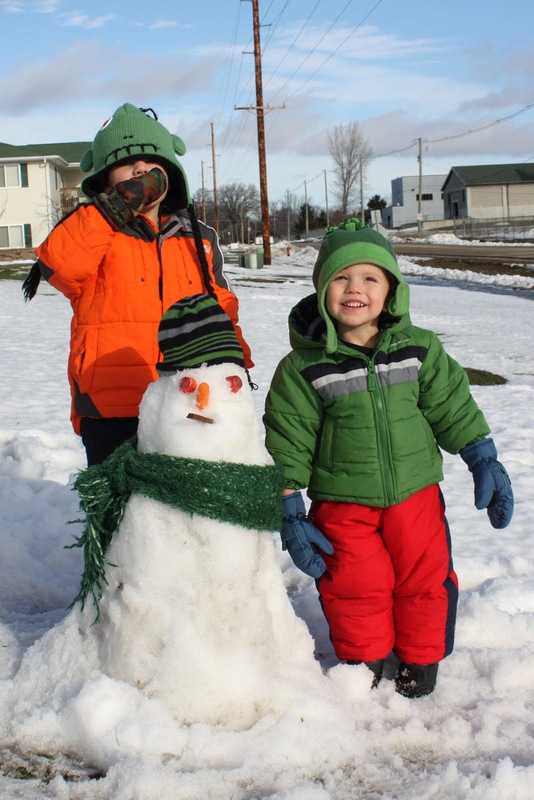 For weeks now, Caden has been asking to build a snowball and a snowman. I’ve brushed his requests off because one, it’s been really cold and two, I hate bundling them out to go outside and freeze. Maybe I’ll feel differently when they’re a little older and can play more independently, but right now when Shepard is constantly falling over and losing his gloves and Caden can’t seem to handle doing anything by himself…it’s just not fun. 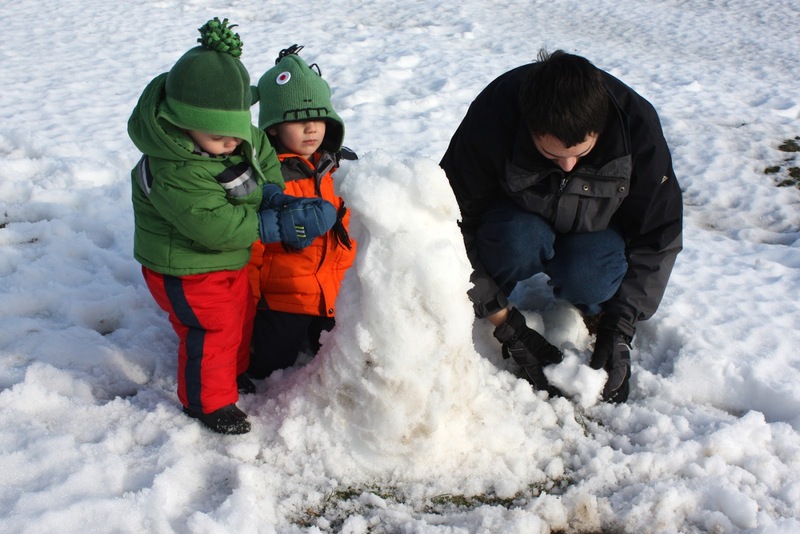 So we waited until Saturday when Daddy was home to help to finally go play in the snow. 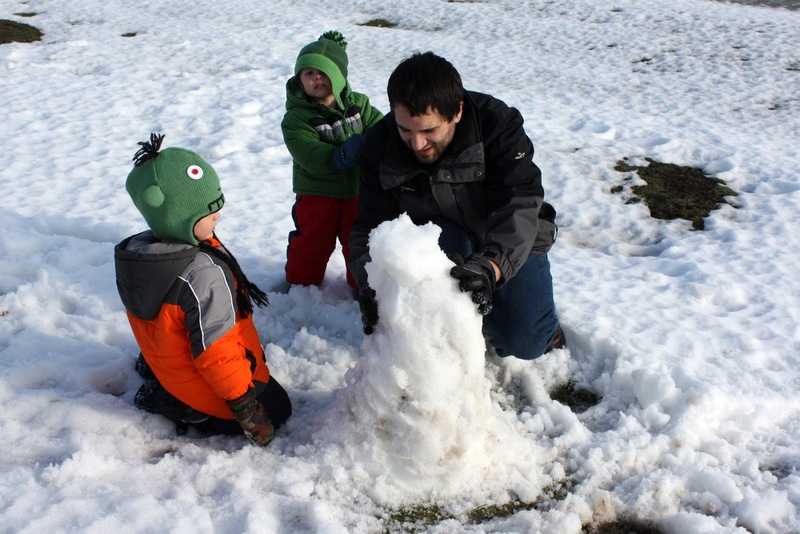 Despite the fact that it was a warmer week (and the majority of the snow melted overnight! ), it was pretty dang cold out yesterday. And super windy. 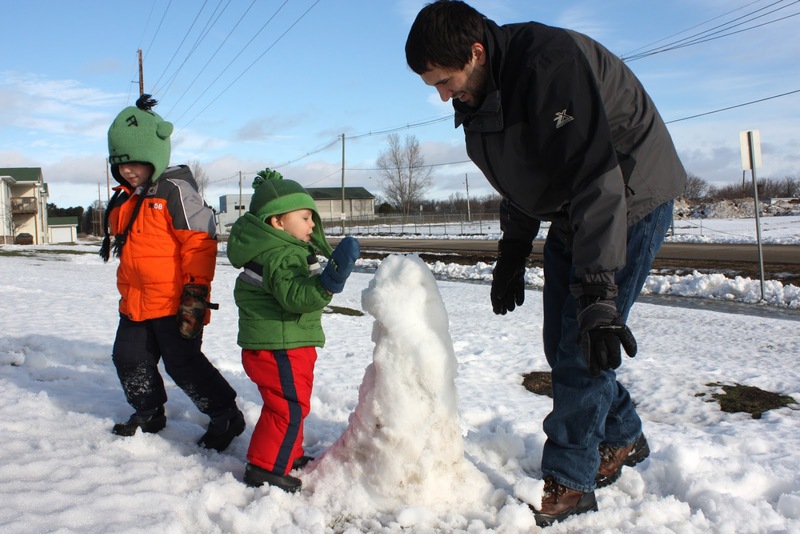 I think Greg set a world record for throwing this snowman together. 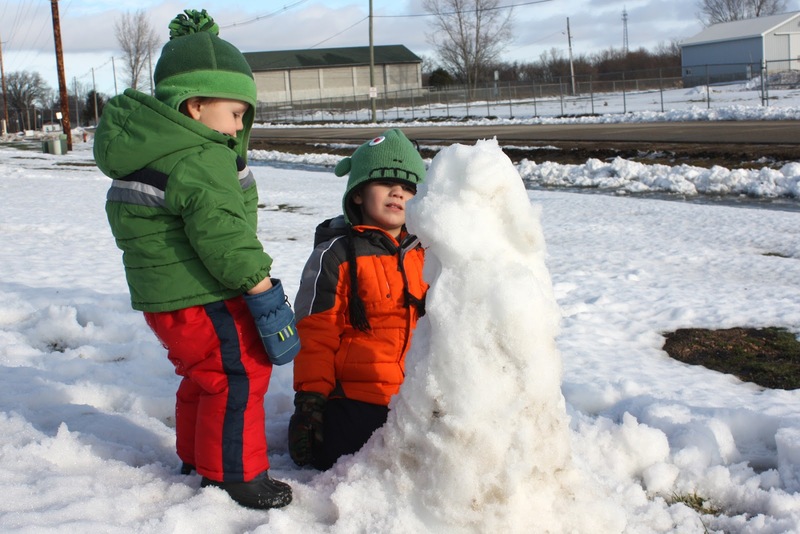 Not exactly the traditional rolling ball out method, but he asked who I am to say that’s the only way to build a snowman. So there you go. Shepard trying to help even though his hands in the mittens are pretty much useless. 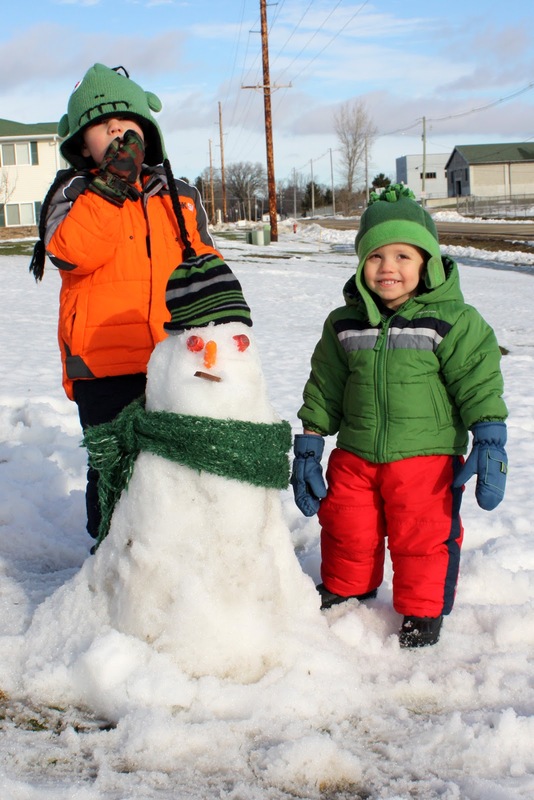 They’ve succeeded in making their first snowman! I brought out Kit Kats for the mouth, which Caden immediately decided to eat, not letting me get any good pictures of him. 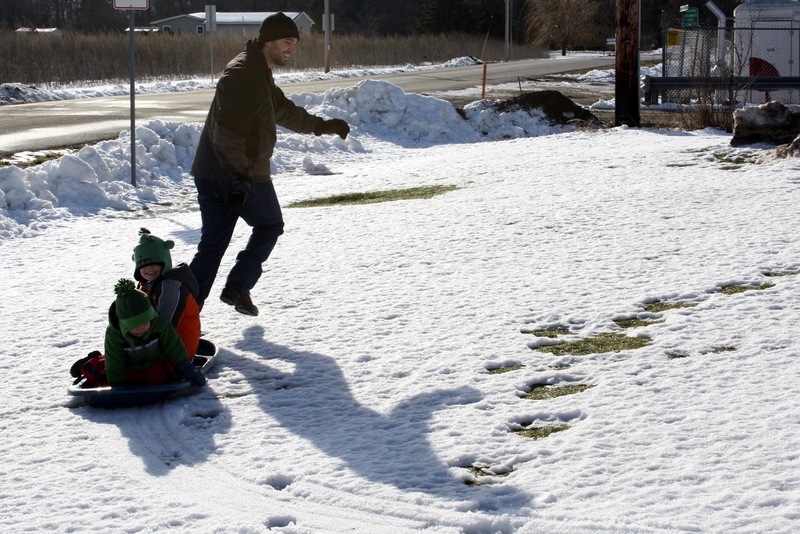 Caden was having a lot of fun running around in the snow after that. 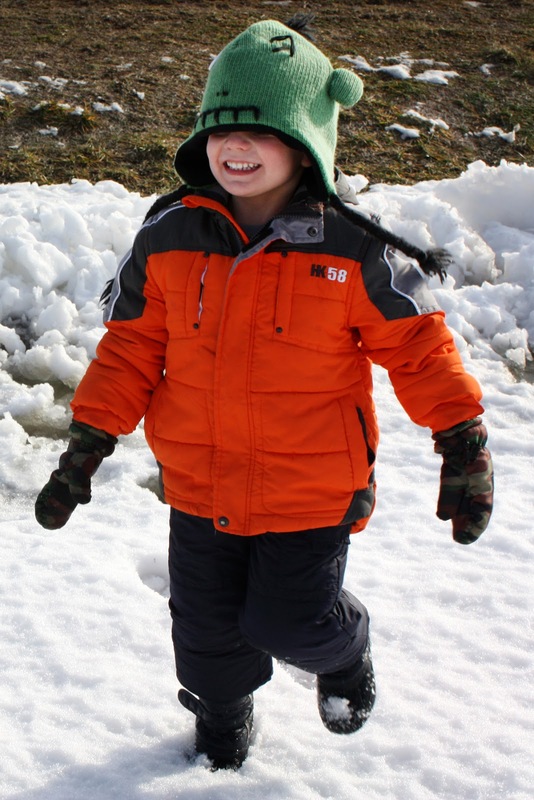 Shepard’s still a little too uncoordinated in his snowpants to move around very well. 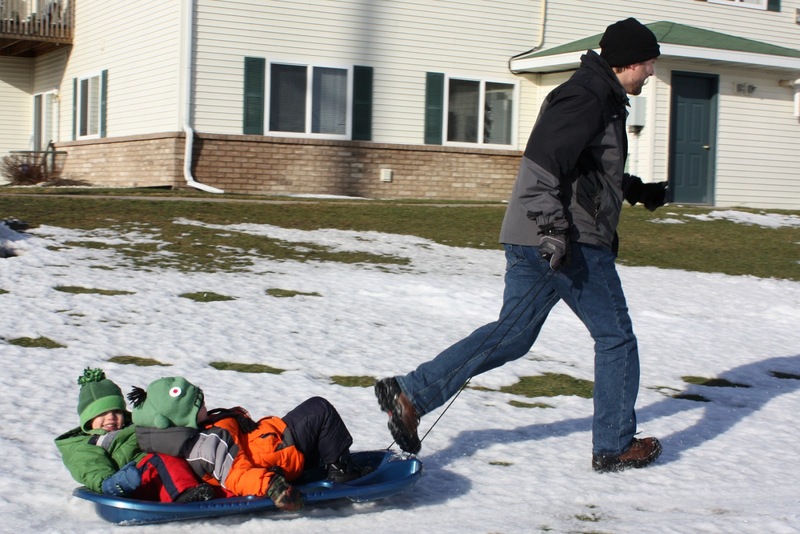 As long as we were outside Greg took the boys “sledding” too. They were loving it. 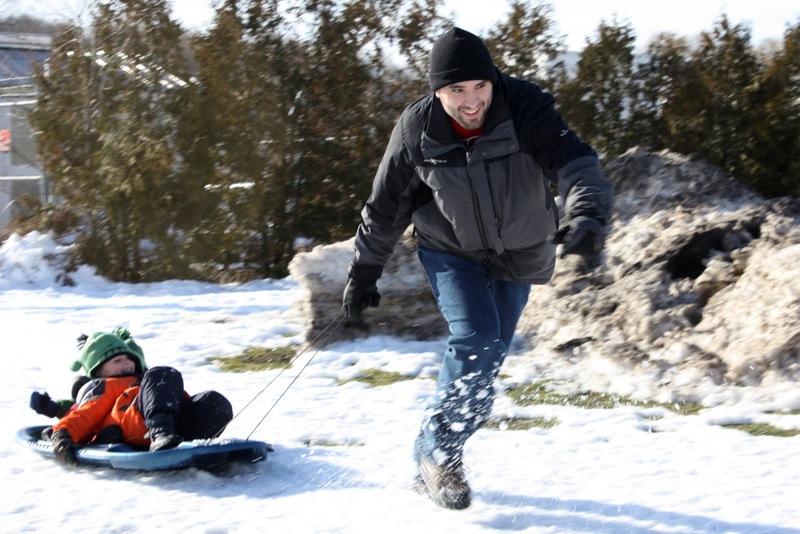 If it warms up again we might have to try actual sledding if we can find a small hill somewhere. Anyway, we were only out about half an hour, but it was a fun little outing after a very rough week!